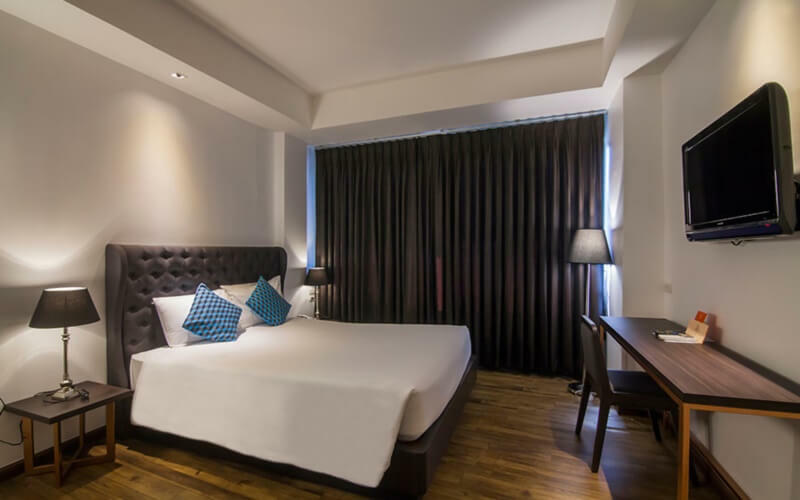 Located close to various popular shopping avenues including the Pratunam Market, Platinum Mall, Palladium Mall, and Central World, this hotel is a great choice if shopping is your top priority. The vibrant Talad Neon night market is also close by and Mcdonald's is a short walk from the hotel. 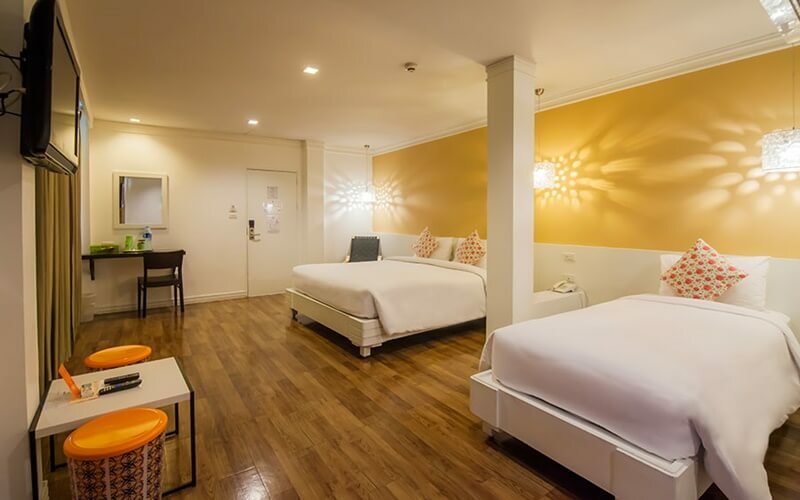 Above all, the cozy rooms and warm hospitality offer a comfortable stay. It is said that Bangkok is the haven for shopping buffs and it quite lives up to its name also. The First House, a 3-star hotel, promises that this shopping experience is not delayed by on-road traffic and last minute hassles. 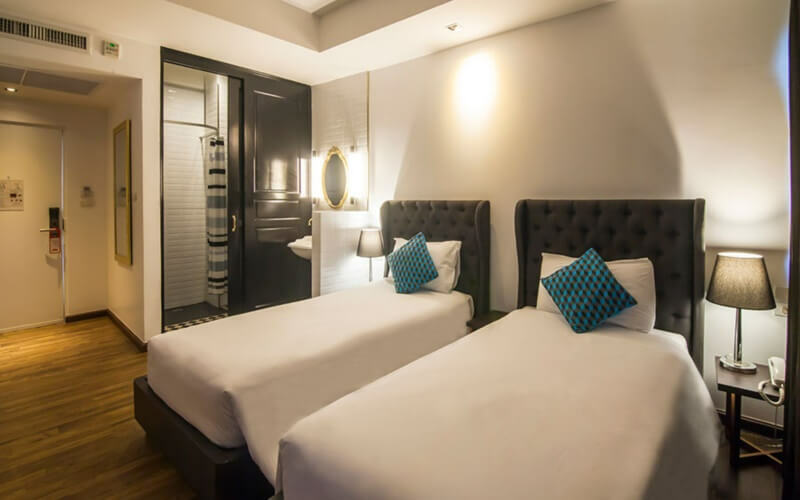 The Hotel is located on a reachable 10-minute walk from the Platinum and Pantip Plaza, which is considered the best place to shop. Pathumwan also is a wonderful deal for the shop-goers if they are looking for some good budgeted deals for themselves. This hotel is ideal for honeymooners due to to calm and tranquil ambience. 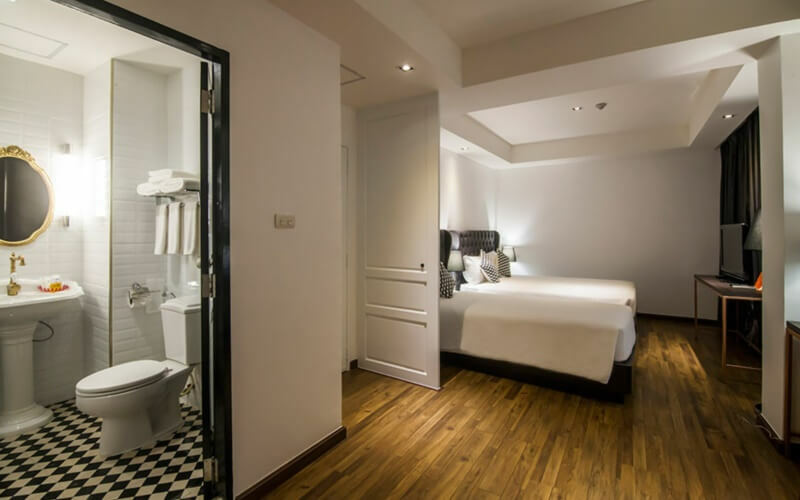 The room at the First House Bangkok Thailand has all the necessary facilities including a mini-bar and a mini refrigerator. The guest can avail all their currency exchange transactions with the in-house exchange house. The reception desk is active 24 hours and is well-connected with the airport and railway services. 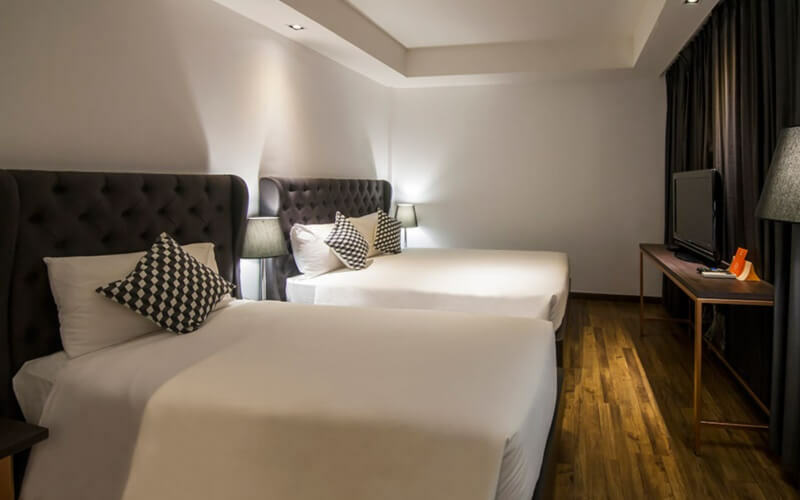 The Hotel has a five-star ambience will some luxuriously designed interiors. The entire hotel is non-smoking and the entire staff is multilingual. 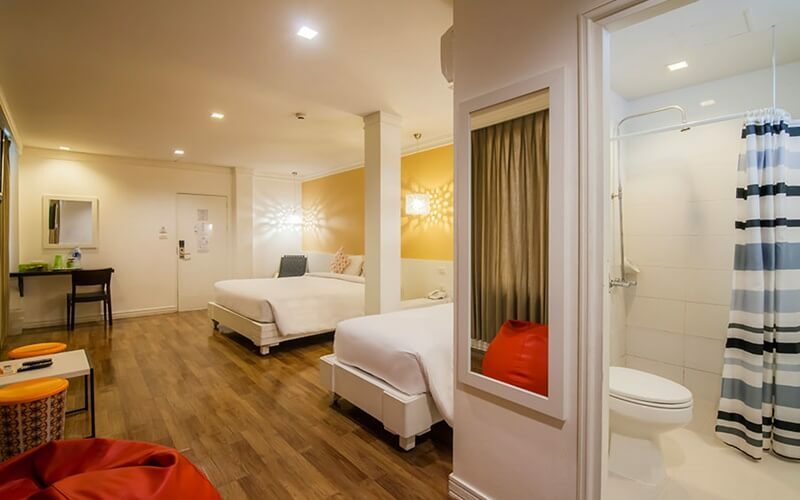 There are 4 categories of rooms available at the First House Bangkok Thailand. The modern superior room with first-class access promises a punched abode with some wonderful features added in it. 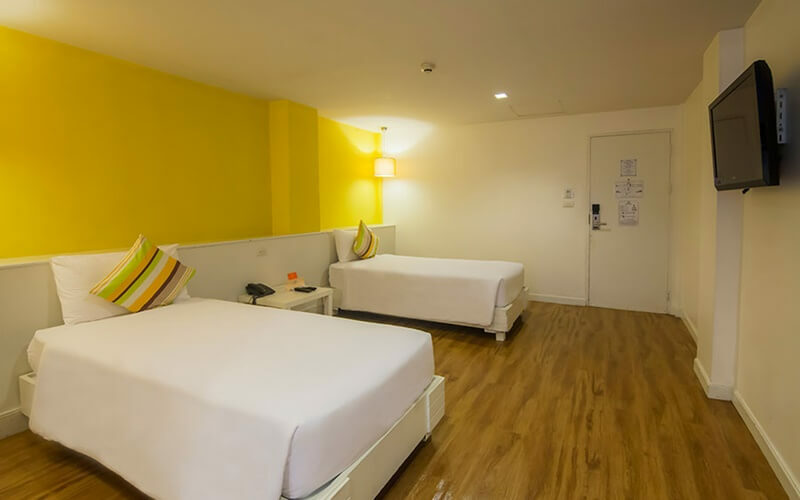 The walls are soundproofed and there is an executive lounge access for the owners of the room. 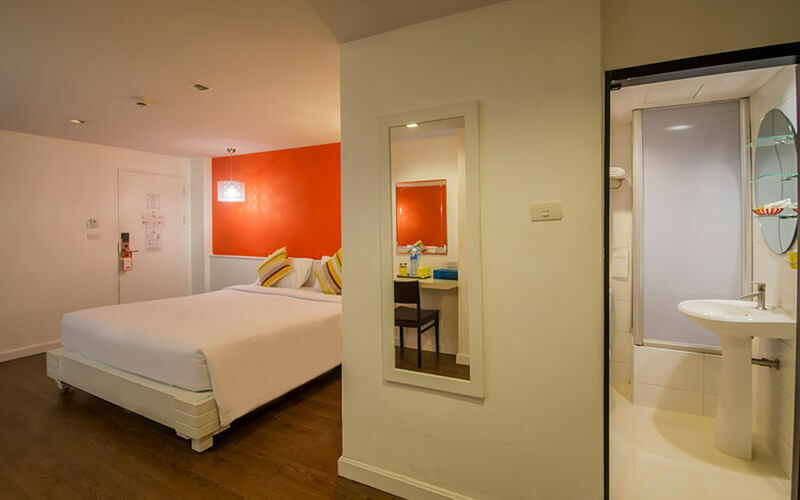 All the rooms have a flat LED screen with a private entrance. 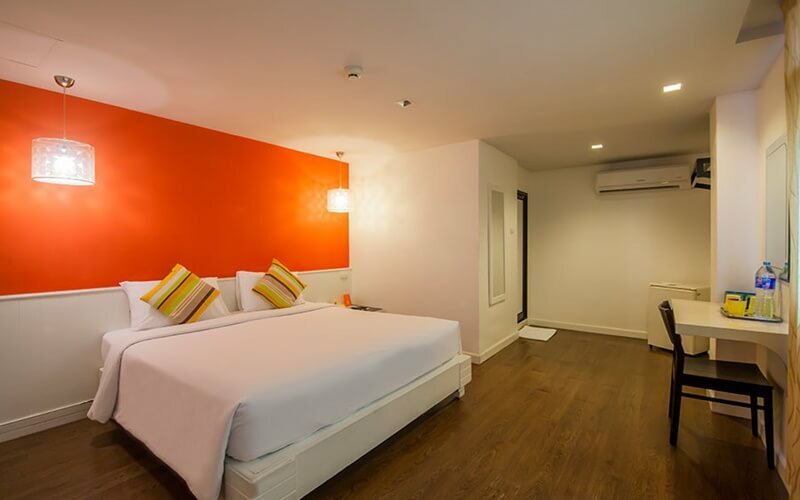 The rooms have a classy touch to it, with wooden floors and comfortably tucked bed. The rooms also have blackout curtains for comfort and the private affair. The premier room with first club access also features the same facilities although a little differently designed and presented. 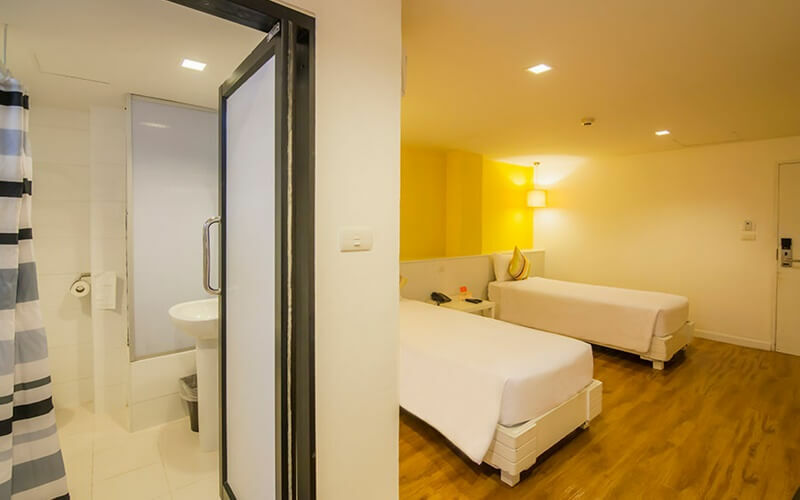 The room of First House Bangkok has a cloth rack and a separate luggage unit to ensure that one is not deprived of ones own space. For a good nights sleep, the room is a welcome relief. 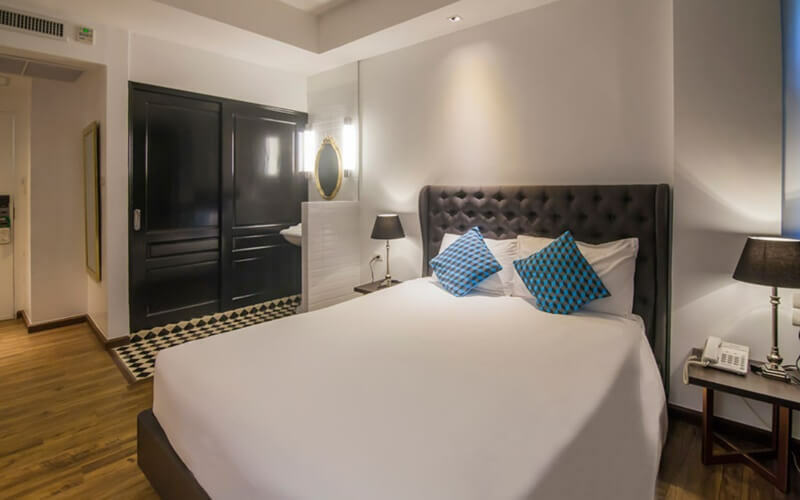 The First House Bangkok features free WI-FI connectivity in the entire hotel with problem-free access. The helpdesk is active 24 hours with the staff helping even with the errands. 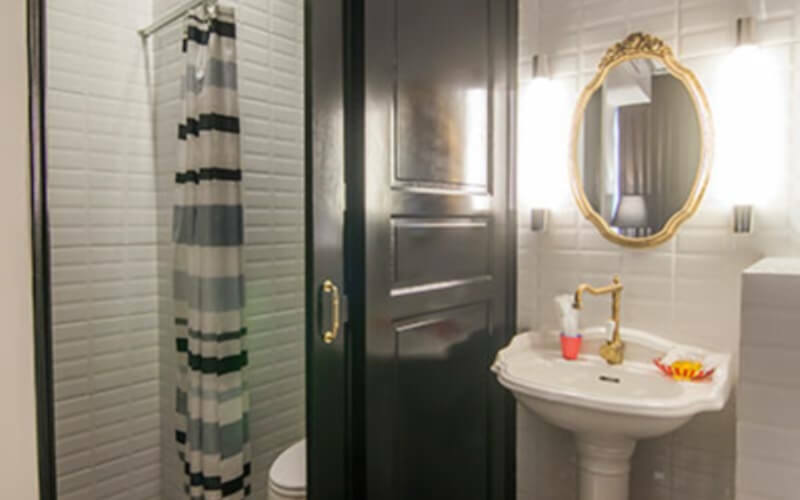 The entire property is air-conditioned with an array of services available like the concierge service, ATM machine, Tour desk, and luggage storage for all the guests. There are also various options to shop onsite, where brands from the international are proudly displayed. The shuttle service at an additional cost is also available and there is a common lounge with a TV featured in it. The staff speaks both Thai and English for the convenience of its visitors. The upscale eatery has everything one needs to wrap up work and kick off the weekend at First House Bangkok Thailand. The bar is fully stocked with the most enviable brands in its rack. The Hotel features varied cuisines like continental and American to cater to all its customers. The option for Buffet breakfast is also available to fill the platter with some interesting munchies. The staff is well informed of the all the ingredients and will happily guide one through the delicious menu of delectable meals and mouth-watering desserts. There are a plethora of options to choose from be it the bar, the buffet breakfast or dining option. Shopping works like an elixir for many and what is better than ensuring that one is located very close to the amazing shopping experience that awaits. Does the Hotel have its own swimming pool? No, the hotel does not have its own swimming pool. Is the Hotel close to the BTS station? 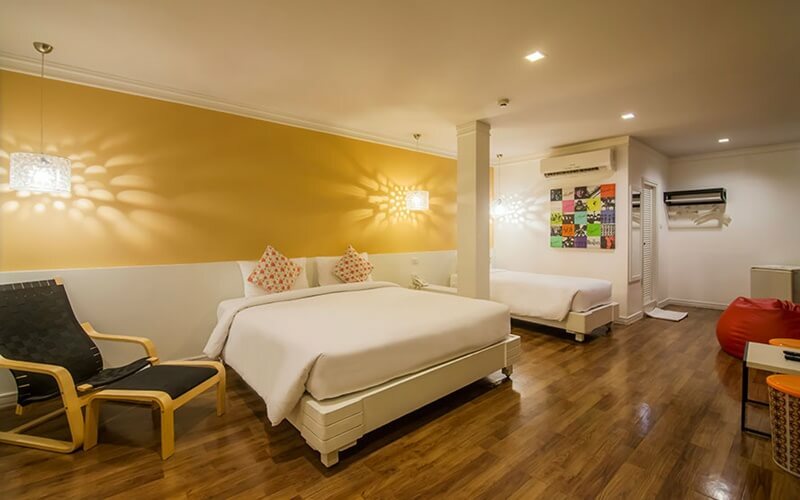 The Hotel is close to two railway stations namely Ratchathewi and the Phaya Thai BTS. Both the stations are located within 10 minutes from the Hotel. Does the room has coffee and tea making options in the rooms? There is hot water available in the lobby of each floor. The rooms do have coffee and tea bags but sugar is not provided. Do the rooms have a well-equipped fridge to store milk? 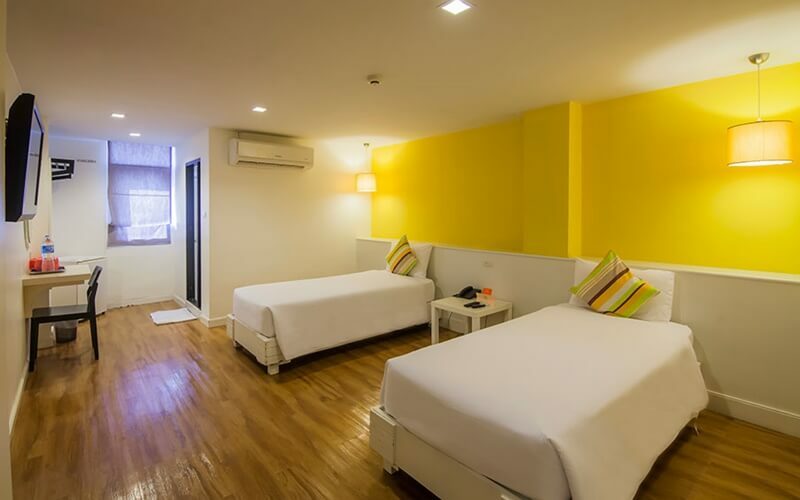 The rooms are well equipped and so are the refrigerators that are provided in every room. Is the option of leaving the luggage and checking out, available at the Hotel? 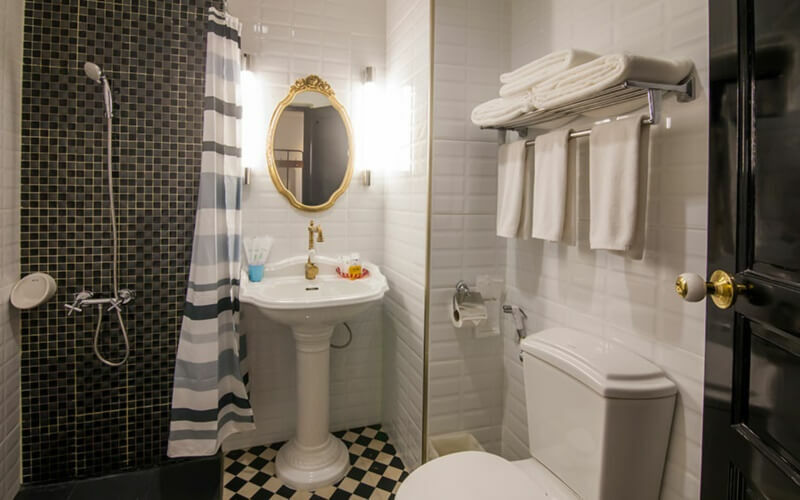 The hotel ensures complete safety for all the belongings of the customer. Even with parting with the hotel, it ensures that the luggage is stored safely in the luggage storage area. 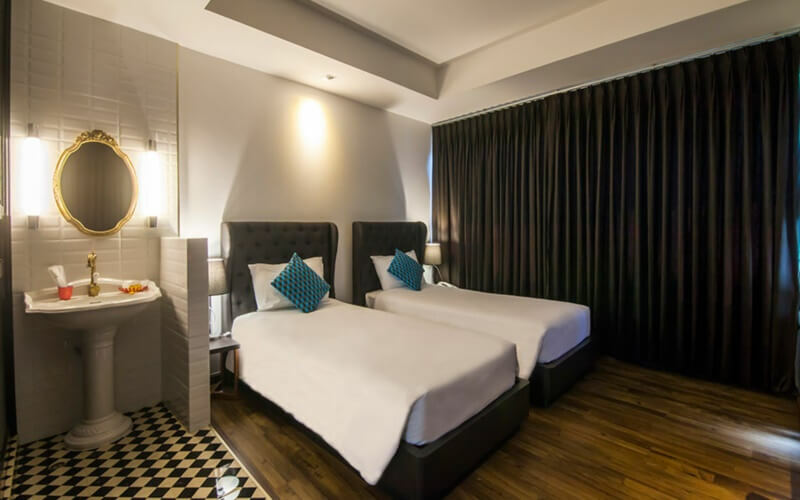 The First House Bangkok Thailand is one of the best options if one is considering staying close to shopping out deals with local and international brands. 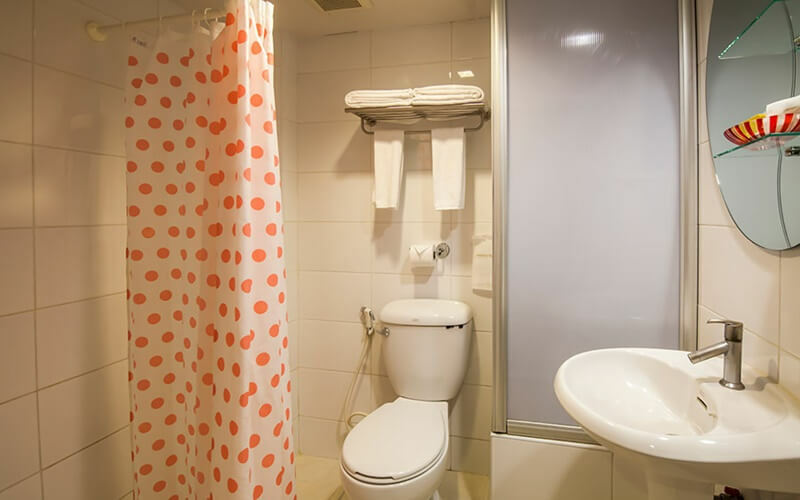 The rooms are modernly designed with the staff available 24 hours at the disposal of the guest. The Hotel provides complimentary tea and coffee coupled with first club access and hairdryer. 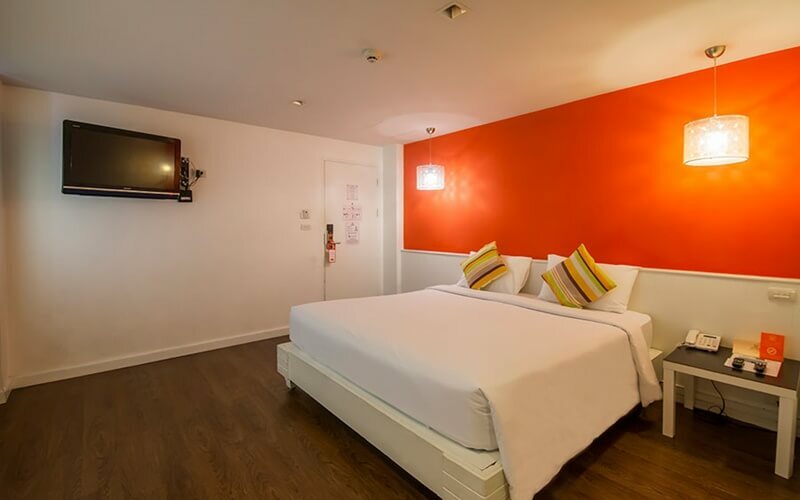 This hotel is located at the heart of all the action and provides an unbelievable experience of comfort. There are umpteen convenience stores for ones daily needs very close to the hotel. The hotel is also housed where most of the action in terms of romantic trips to great locales close by is concerned. It is considered one of the finest properties priced strategically so as not to create a burning hole in the pocket. The main intention of the Hotel is for the guests to make them feel refreshed and comfortable after they leave. 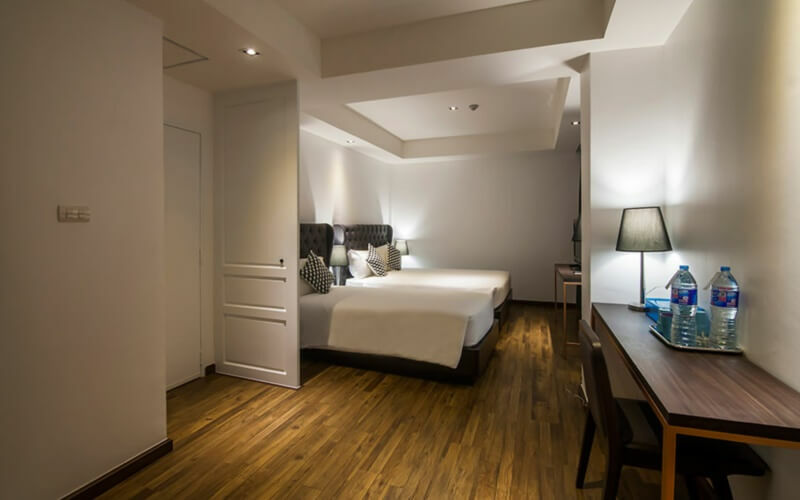 A luxurious budgeted First House Bangkok might sound like an oxymoron but this Hotel surely makes the cut here.